Located in McKinney, Texas, The Maddox Law Firm provides aggressive yet empathetic legal services in family law and criminal defense. 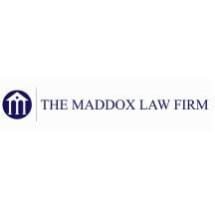 Serving clients in Collin County, Dallas County and Denton County, Texas, The Maddox Law Firm is dedicated to fighting for you whether you are facing a divorce or are being charged with a crime. We understand the fear and apprehensiveness you may be feeling. We can reassure you attorney Matthew Maddox of The Maddox Law Firm is not only skilled and experienced, but is a lawyer who will stand up for you and always have your best interests at heart. Attorney Maddox began practicing law 21 years ago and is focused on helping his clients through tough periods in their life. He is dedicating to protecting your future and works to make sure that even long-term impacts of a family law or criminal defense issue do not hurt his clients later. Maddox is a skilled litigator who goes to court to win for his clients. He is ready to build your case today. When you are faced with a family law or criminal defense issue, the emotions you may be feeling can be overwhelming and unbearable at times. Let Attorney Maddox lift the burden and take care of you, both in the short term and long term. Attorney Maddox is the advocate you need today, and the lawyer you can rely on to work tirelessly to protect you tomorrow and beyond.